Free video editor to add music, photo, filters, text to make cinematic movie. Can not find imovie on Google Play? Don't worry! Film maker can help you make a cinematic movie! Film Maker is a full-featured video editor made for both professionals and amateurs. Easy to edit but professional to display. Create a Hollywood-style movie, easy for everybody. 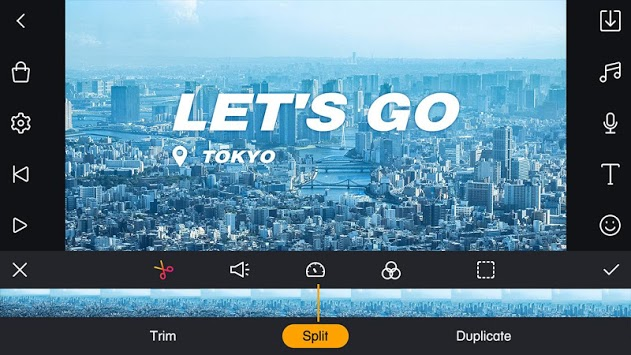 ● Video Edit: Trim, Split & Duplicate, cut your video as you like. ● Speed: Adjust video speed with slow / fast precisely. Create slow motion & fast motion playback! 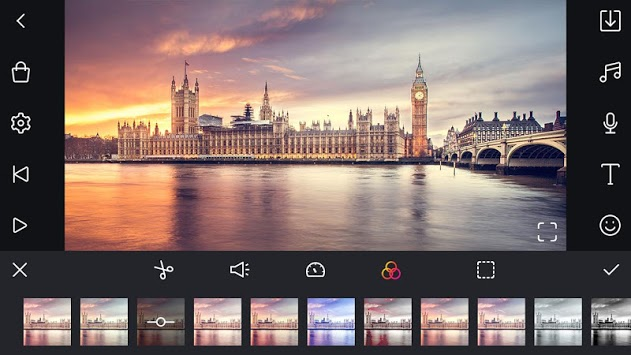 ● Video Filters: movie, retro, selfie, and 30 others filters for choice. High quality filters perfect for any occasion. ● Colour adjustment tool: full manual controls for Exposure, Contrast, Saturation, Brightness and white balance. 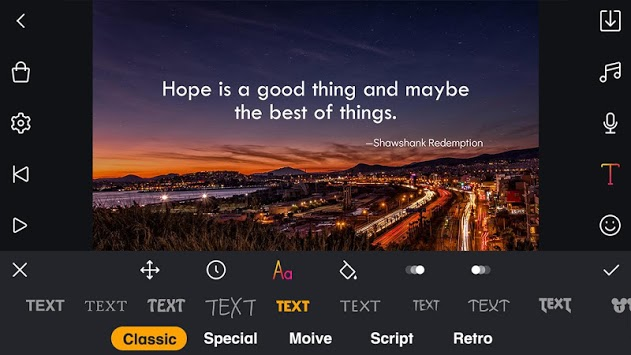 ● Text on video editor: Various fonts & unique designs. ● Transition: 30+ transitions to animate between video clips. ● Music: 100+ FREE featured music, Choose free no copyright music as your background music. ● Sound Effect: featured sound effects like animals, explosions, laughter, etc.